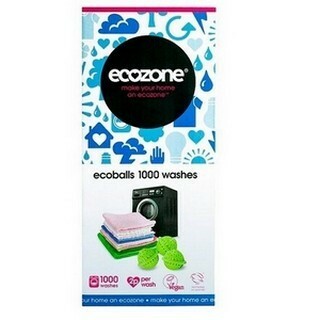 Soap Nuts from Ecozone are the most economical and eco friendly way to replace using washing detergents on your clothes. Each large pack comes in a 1Kg cotton bag which contains enough Soap Nuts to complete up to 330 cycles in your washing machine meaning that every wash costs you less than 4 cent per wash. This works out more than 10 times more cost effective than typically priced traditional washing detergents. Soap Nuts are popular to use on clothes for people that suffer from cerious, exma and other sensitive skin allergies. Soap Nuts can also be used to make your own home made multi-purpose cleaner by simply simmering the soap nuts in water. See the last minute of the video below for more information on this. Technically soap nuts are more a fruit than a nut which act as an all-natural alternative to laundry detergent. The fruit grows on trees in Asian countries like Nepal and India where they have been used as a washing detergent for thousands of years. Each soap nut contains naturally occurring saponins. When mixed with water Soap nuts have the power to wash away all dirt, grime and stains whilst remaining gentle on your clothes. 1. Using the guide below put the required amount of soap nuts into the small bag which comes with the 1KG pack and tie the bag tightly. 2. Place your clothes in the washing machine and insert the soap but on top. 4. When the washing cycle has ended remove clothes from the machine and also remove the bag of soap nuts and allow to dry. 5. The soap nuts can be used several times until cleaning performance begins to fade. Please note the soap nuts will last longer when you set your washing cycles to cold or warm wash cycles. You will only get one to two washes on them when set to hot cycles. Hi, do you re-use those nuts again ? 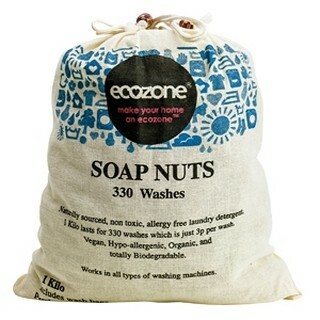 At the end of the washing cycle you remove the soap nuts from the bag provided in the pack and allow them to dry. They can then be reused again. I’m just wondering if I can also use them for making my natural “shampoo” as some of them would be suitable. Thanks. Yes they can be used to make shampoo. Below are details on how to make Shampoo from Soap Nuts. Place soap nuts in a small muslin bag (comes with produc). Place in a medium saucepan with 2 cups of the water and bring to a boil. Add 1 cup of water and simmer for 10 more minutes. Squeeze out the bag until it suds. Rinse with cool water and squeeze in to the pan again. Store in a glass jar in the fridge until use. How long would the liquid soap last after bottling it from boiling the soap nuts? We can’t give you a timeframe on this Lidia but going by want some other customers do it will probably last longer if it is kept in the fridge. I find these nuts great for washing with and so affordable, but was surprised and disappointed that there was a plastic bag holding the nuts inside the cloth bag. I understand that the small fragments of nuts need to to be contained, but perhaps a paper/plastic free alternative could be used – could this be fed back to the manufacturer please? Glad to hear you like the product and Thank you for your feedback. We will certainly pass it on to the manufacturers. 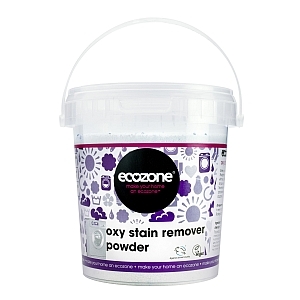 I might be wrong but I would imagine given the nature of the product range Ecozone produce this issue has come up already. My guess is the plastic is possibly unavoidable in this case as product would need water proof packaging. If packaging without plastic got wet in transit it would cause bag to lather up and destroy the stock. If we get a proper reply from Ecozone I will forward it on to you.